Manual Transmission makes noise in a used car. If the noise in manual transmission is still heard when depressing clutch with operating engine and neutral gear, then the clutch release bearing needs to be replaced. If the noise level has decreased, then the problem might be in wear of the operating surfaces of gears and bearings. 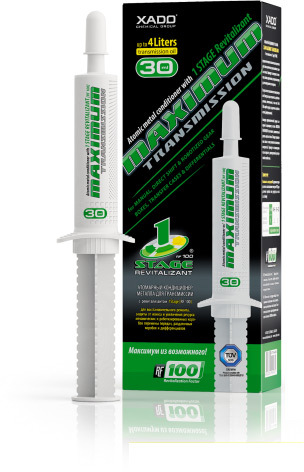 Applying Revitalizant ® allows restoring worn out surfaces and this will decrease noise level in gearbox. Manual Transmission makes noise in a new car. 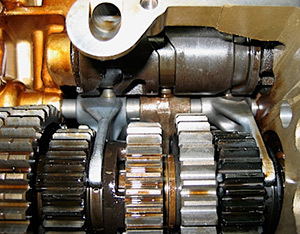 A specific feature of some gearboxes is that they initially produce some noise when operating. In some cases this noise goes away with time, when the transmission parts break in. If the noise remains the same, then the probable reason for that may be gears’ tooth changeover because of not precise manufacturing of tooth gears or valves. When engaging tooth go very tightly, become deformed and produce noise. When the tooth changeover rate is not high then application of Revitalizant® for gearboxes will be an effective way to decrease noise.